Flora Perez’s life changed the day her father took her along on an appointment with his attorney. She still remembers the high regard in which her father held the man. The lawyer had multiple, creative solutions for her father’s problem. She was just 10 or 11 years old, but as she listened to the attorney speak, she was impressed, too. From that day forth, she knew her path would lead to a career in law. Perez’s parents were Cuban immigrants. With four children and a restaurant in a Miami suburb, their hours were long, but they stayed tightly knit as each family member undertook tasks at the restaurant. Perez’s parents told her they expected her to become a lawyer in the same way people expect their children to become doctors and CEOs, knowing it’s a title worthy of respect but having little knowledge of the actual job. 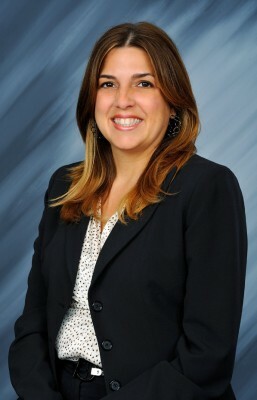 Perez started her undergraduate work at the University of Florida with ambitions to attend law school. She chose to major in accounting without any real enthusiasm for it and took a weed-out class with a professor who would become one of her mentors. “I thought, if I had special knowledge and could advise others, with solutions that people like my dad needed, that would be so rewarding,” she says. “The law can be intimidating and is held in such high regard, but I knew I could do it well.” Perez didn’t see herself as an accountant, but the professor offered her a different perspective. At Akerman, Perez had a small client base, and she learned to serve as a personal lawyer. She became an advocate for her clients—the same type of attorney that had inspired her as a child. Perez eventually wanted to transition in-house, and after a few years in the field, she knew what interested her and what did not. When Ryder, a provider of transportation and supply chain management products, reached out to her, taking the offered position was a no-brainer. It took Perez a while to adjust to the climate of corporate America. It wasn’t worse or better, she adds, it was just very different. There were several aspects of the new job that neither law school nor her first two firms could prepare her for. “The early days were interesting. I did not appreciate the corporate culture,” she admits. Perez had advised companies big and small, but being a permanent part of the business team was a reality she couldn’t grasp until she got there. Until she worked in management at Ryder, Perez didn’t know leadership was something she would enjoy. Now, organizing a team and helping people develop their skills are among her favorite parts of her current job. She counsels and advises staff and clients at Ryder, and a good chunk of her workload is brainstorming solutions, just as she saw her father’s lawyer do so many years ago.